This is a copy of a Stein and Goldstein horse. The chariot base has sort of an Asian motif. This piece also came with the 'regular' base configurations as well, most commonly with an oak music-box base. The piece is about 7-8" to the top of the pole. 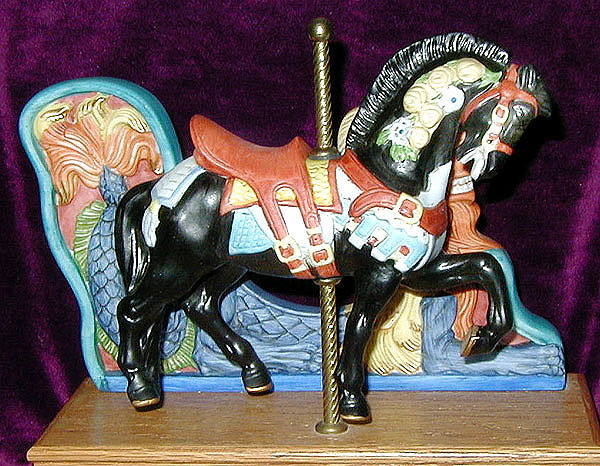 The music box plays "The Carousel Waltz". The average price of this piece when new was probably $70-$90.